Five Emporia music students will be among the Kansas Music Educators Association State Honor Choir and Orchestra later this month. Senior Maya Ballester and sophomore Braxton Pauls were selected for the All-State High School Choir; sophomore Kenji Anderson was selected for the All-State Orchestra, playing violin, according to Sarah Bays, EHS vocal music director. For the first time, KMEA also is sponsoring an All-State Elementary Choir, and two Timmerman Elementary students have been selected for the group. 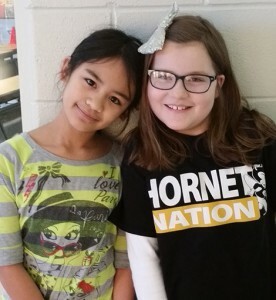 Natalie Denton and Jasmine Grundleger, both fourth graders, will participate in the Elementary Honor Choir, according to music teacher Jessica Snider. 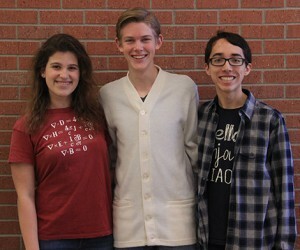 One hundred sixty students were selected from the 596 who auditioned. The KMEA All-State High School Choir will perform at 1:15 p.m. Saturday, Feb. 27, in the Century II Concert Hall. The KMEA All State Orchestra Concert will be at 3 pm, that day, at Century II. The All-State Elementary Choir will perform during the President’s Concert Thursday, Feb. 25, at 6 pm. All seats are general admission and tickets are $7.